Born in 1972 in Seoul. After graduating from the Seoul Institute of the Arts, SONG continued his studies at the Polish National Film School in Lodz. His short films won various international awards including a Grand Jury Prize at the 1999 Cannes Film Festival's short film competition for "The Picnic." 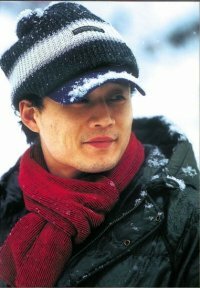 His feature debut < Flower Island > also won the Best First Film award at the 58th Venice Film Festival in 2001, and the top awards at the Pusan International Film Festival and Tokyo FILMeX. [HanCinema's Film Review] "Dance of Time"
[HanCinema's Photo Diaries] 10 Korean Movie Barcodes!